We often long for Grace and wonder if it will happen. The Grace that didn’t happen yesterday, we may wish happens tomorrow. This timeline-bound, hoped-for Grace will not sustain us with the rapid changes happening in our relationships, lives and world. 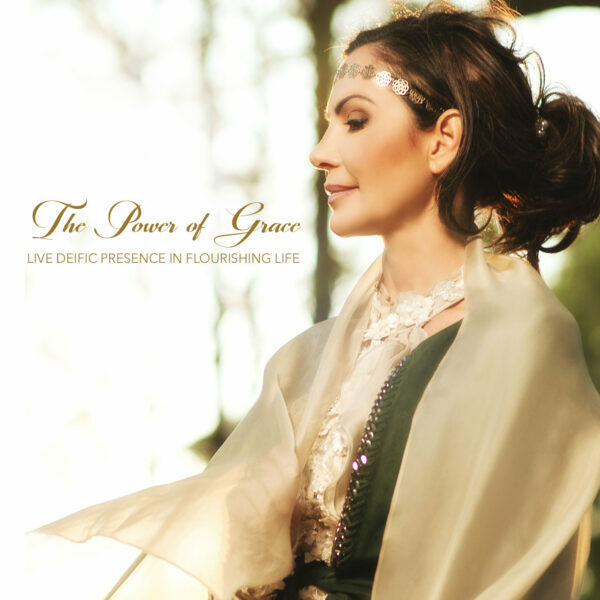 The Power of Grace Now, opens the direct pinnacle of spiritual realization. The Power of Grace Now is here. This is the instant to awaken as The Power of Grace Now. This opens the way to live as Deific Presence in each instant of relationship, every moment of service, each hour of interaction, every day of life’s unfoldment. We often think of Grace as an occasional act from a benevolent God at a difficult time. However, this means looking at Grace as objective Grace—Grace as an object—and hoping Grace “works” “this time”. For what we face in the inner terrain and in this world of constant change, this on-occasion Grace does not go deep enough. We need a more true experience than casual, or whimsical Grace. The Power of Grace now, answers the immediate challenge, pain or pressure to the point that it reveals these as non-power and non-existence. Deific Grace assures the certainty, the stability, the anchor point of infinite goodness lived in every area of life now — revealing no separate areas outside of Grace. Grace is not meant to be a capricious act, that may or may not happen. Grace is a Way of Love, a Way of Infinity, a Way of Wisdom. Grace is here now, as Presence, when we understand how to awaken to and as Deific Grace Presence. Origin Grace happened with a specific inherent factor. When we directly experience that inherent factor, we come alive as the Power of Grace Now, without end or interruption. In this class program we move together beyond temporary or fallible or uncertain Grace to Grace as a way of being, Grace as God Presence, Grace as the intimacy of this inherent factor. Then, we truly know Grace as Deific Love Presence, Grace as the Light of Consciousness, Grace as a benevolent, kind flourishing way of relationship, service, creation, and life. To live as Grace means the courage to excavate through the shadowlands of the underworld — washing hard places and repeating pain to stillpoint. To live as Grace means knowing the reality of the miraculous. To live as Grace means living the way and the genius of Love, free of the judgment and limitation of the typical thought sphere. Grace opens spacious freedom in life. The way of Grace is the way of Deific Love, a gentle, vital nourishing path of fulfillment in relationship, the revealing of solidarity, sharing, and communion in this world. Grace means honing the shine of the individualized facet of the Presence diamond, sitting as a crown jewel of Awareness, recognized and joyous in the whole, the One. Along with opening vistas of true belonging, Grace opens the way to spontaneously live the highest virtues of wisdom, clarity, humilty, kindness, compassion and being the stable power of selfless goodness. In this class program, we experience the sacred wisdom key of Grace in the ancient scriptures, including the examples of spirited leaders such as Moses and Noah. We directly experience the face to face with God realization, the happening of Grace that opens the way of being Grace, being a leader of Grace.